A remarkable and controversial book about the reality of modern Africa by distinguished American reporter, Blaine Harden. 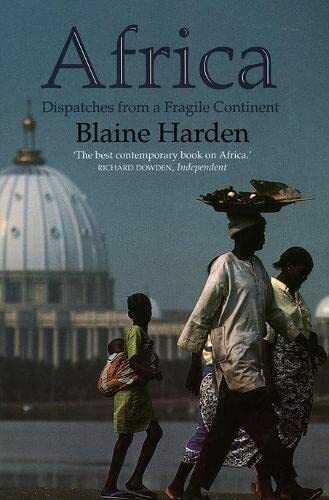 A remarkable and controversial book about the reality of modern Africa by distinguished American reporter, Blaine Harden.This remarkable book is the first to get behind the picture post-card presentation of modern Africa. harden reveals the true and often unsightly picture of this vast continent. The issues he addresses - the incompetent intervention of Western governments and the battle between the tribal way of life and modernity - are presented through lucid and gripping stories about individual people and incidents Harden has known. He himself was once thrown out of Kenya for the strength and accuracy of his reporting; this book will cause and equal stir in the debate about where Africa is going and what itis becoming.